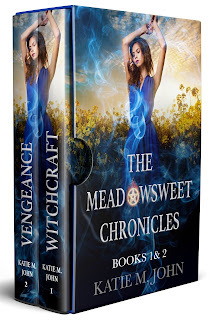 Author Katie M. John & Kate John: The Meadowsweet Chronicles. Boxed and on celebratory Sale. The Meadowsweet Chronicles. Boxed and on celebratory Sale. There’s no light without the dark. Fox Meadowsweet is a Witch. Jeremiah Chase is a Witch Hunter. The Meadowsweet bloodline has lived in the sleepy English village of Heargton for thousands of years. Jeremiah Chase is a New York boy in exile. Neither of them asked for their past but now it’s the only thing that can save their future as dark and ancient paranormal forces threaten to obliterate the world. When a local college girl is discovered ritually murdered and covered in strange symbols, old suspicions rise, ancient fears manifest, and centuries-spanning blood feuds reignite between ancient households of the village. With their ancestral reputation of magic and witchcraft, eyes turn towards the three beautiful Meadowsweets sisters… including the eyes of Jeremiah Chase, who finds himself inexplicably drawn to the quirky wild-beauty of the middle sister, Fox. But as Jeremiah learns the history of her bloodline, he also unearths the dark and tangled story of his own family, giving him knowledge of a terrible and diabolical legacy. This box set contains books 1 & 2 of The Meadowsweet Chronicles. 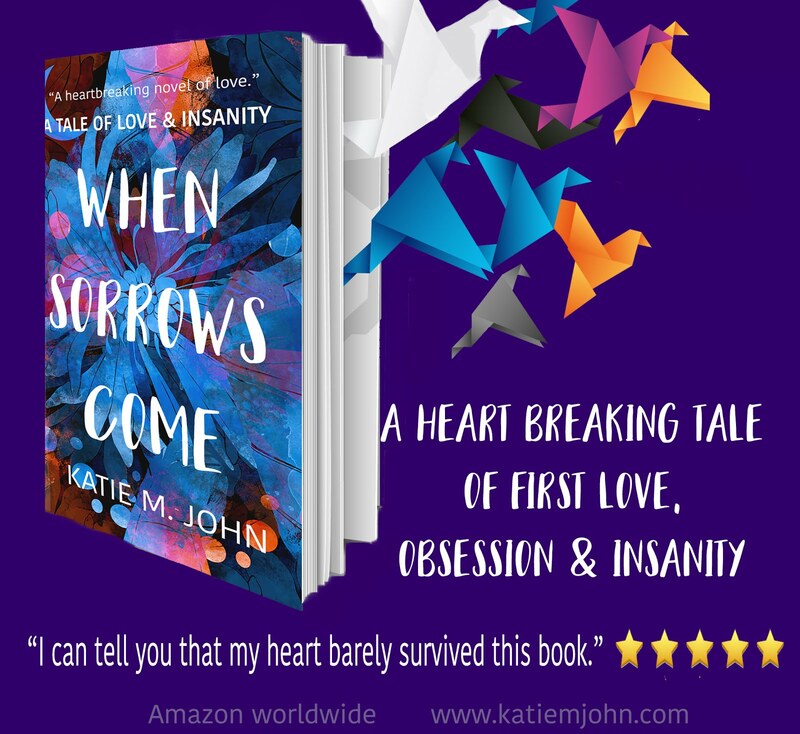 Welcome to the personal blog of Katie M John. I am a UK author of Young Adult Fairy Tales, Paranormal Romance, Horror and Contemporary Romance. I'm best known for being the author of the UK bestselling series, 'The Knight Trilogy' which is a modern Arthurian paranormal Romance set in Cornwall. I am currently about to publish book 3 of 'The Meadowsweet Chronicles', which is a dark, modern horror series based on English and American witch and folklore. I am London based, mummy to two very quirky, adorable Mud-Puddle fairies and I am married to a handsome 6ft 5 giant, who is the Prince Charming of the giant world. I am a full time writer, blogger and mummy. Welcome to my world. It's a real pleasure to meet you. Dare You Visit The Haunted Village of Heargton? A Beginners Guide to Instagram for YA authors. FREE WINTER eBOOK READS FOR YOU. COVER REVEAL: Haunted' Book 5 of The Meadowsweet Chronicles. 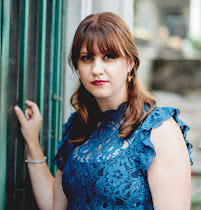 Hitting the Wall: Dealing with Writers' Block. Flunked your A-Levels? A message from 'a failure'. Katie M John. Simple theme. Powered by Blogger.